Join us for our February Field Trip! 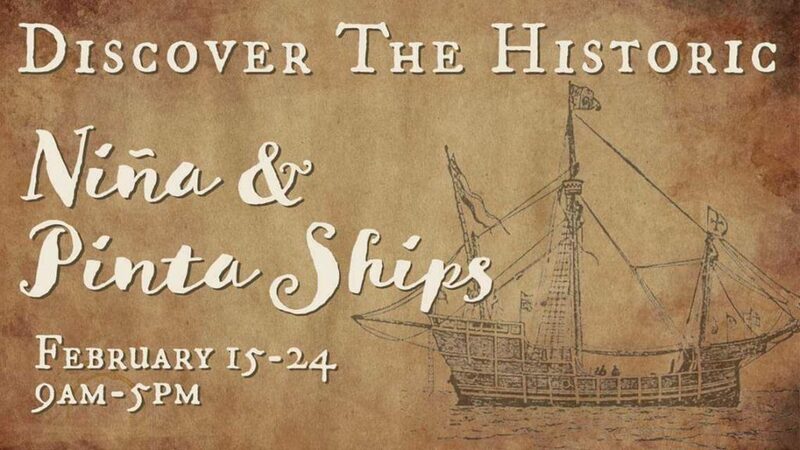 We will have a guided tour of the Niña and Pinta ships while they are docked at The Wharf Marina. We will meet Tuesday, February 19th, at 10:30 am. Our tour will begin promptly at 11:00am. Join us afterward for a picnic lunch at the Orange Beach Waterfront Park. Deadline to reserve your spot will be Tuesday, February 12th. Cost will be $9 for adults (17 and up), $7 for students (5-16) and ages 4 and under are free. Please register for the field trip by selecting/paying for your tour ticket using the PayPal link below. When you have completed your payment, please email Amanda Ezell (a.ezell@mobilemrcs.org) to let her know your family name and how many are in your group.